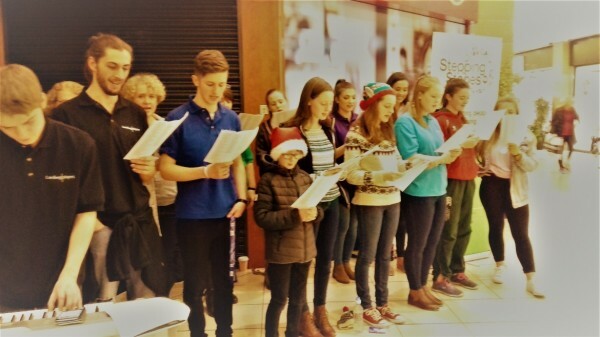 On Thursday 15th December, Lambeg Players sang carols in Bow Street mall in Lisburn and raised £235 in 90 minutes. The proceeds go to local charity Stepping Stones. Stepping Stones is an award winning charitable organisation providing a range of services and social enterprises that support people with learning disabilities and learning difficulties to realise their full potential for a better future.